Mermaids have existed for thousands of years in mythology but to know of its true existence is a mystery that’s yet to be solved. But there’s something beautiful about these mythical sea creatures that dwell in the deep waters of the sea, which many can’t seem to wrap their heads around. It may be because we’re all familiar growing up with Ariel The Little Mermaid or even listening to the tales of how mermaids came about — with their long iridescent dragon scaled tail, long hair… you know what we’re talking about right? And so if you’re enchanted with the idea of mermaids, then this new fragrance might just spark your interest. 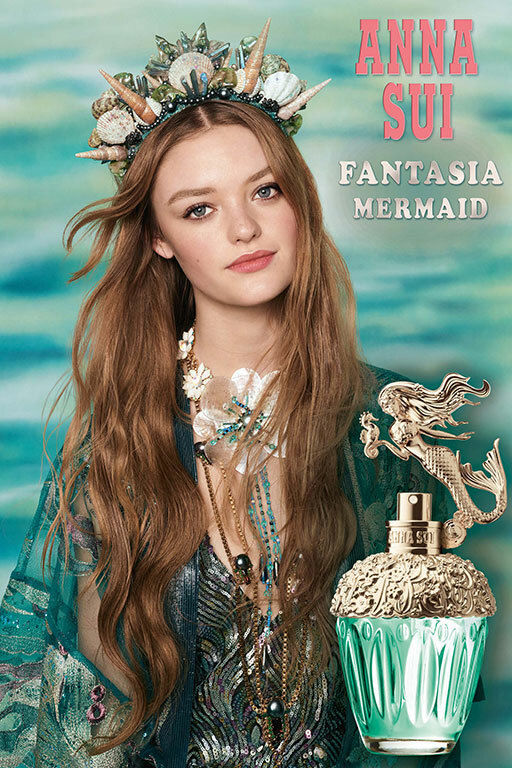 Introducing Anna Sui’s latest addition to its Fantasia franchise: Fantasia Mermaid. A force to be reckoned with, Anna Sui’s latest scent is anything but ordinary — and we mean it. Last year, the trippy, psychedelia-inspired brand launched their Fantasia line which has seen the likes of Unicorn lovers with their Fantasia EDT. The perfume comes in a beautiful gold bottle that’s encased in gold motifs, adorned with leaves and a small unicorn figurine on the top for that extra touch of class. Anna Sui Fantasia Mermaid will be available at all major departmental stores and Sephora from April 2019. But that’s not what we’re talking about today. This year, it’s all about mermaids. Sparkling top notes of blood orange, sweet mandarin, cardamom and pepper invigorate your senses at first whiff. A sweet smelling scent with several facets that comes with hints of fruity accords and spice. The sillage then takes on notes of peony, jasmine and watery litchi that perfectly weave in for a nice floral touch along with a base of vanilla, honey, tonka bean and blond woods for a signature scent that’s alluring and timeless. 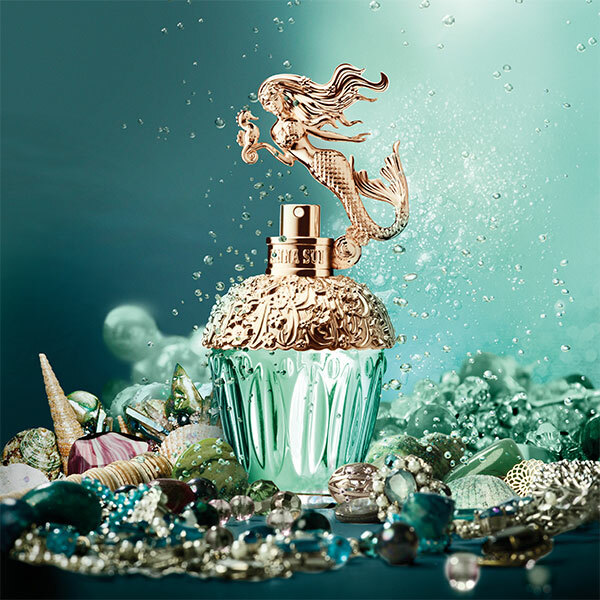 The fragrance comes with a champagne pink gold mermaid figurine, decked in starfish jewels and is encased in a fluted glass that showcases the beautiful turquoise juice inside. A keepsake bottle that not only smells good but looks good too! Who says we can’t have the best of both worlds? The Fantasia Mermaid EDT comes in three sizes: 30ml ($75), 50ml ($99), and 75ml ($129). Available at all major departmental stores and Sephora from 15 April 2019.